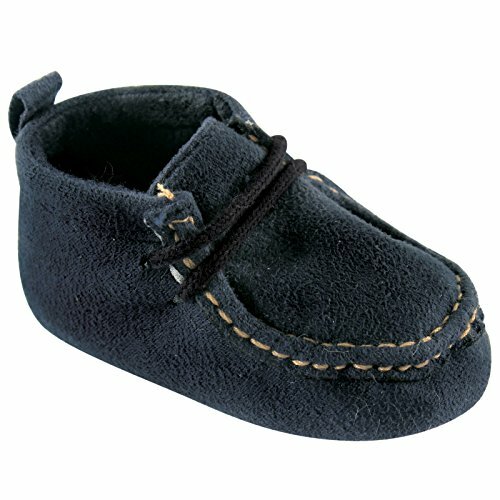 Luvable Friends Boy's Suede Shoe is a cute and classy addition to your little man's wardrobe. 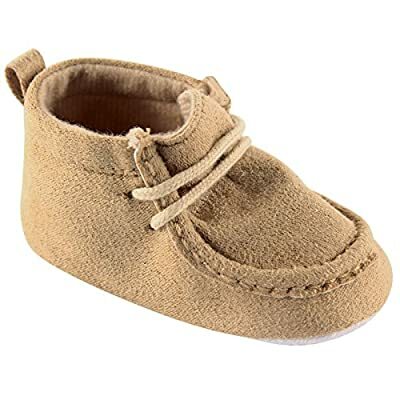 Made with soft faux suede and featuring soft, dot soles, these are intended for babies who are not yet walking, or for indoor beginning walkers. Laces and back tabs help ensure easy on and off, and a customizable fit to keep them on. Available in several colors and in sizes to fit babies up to 18 months.